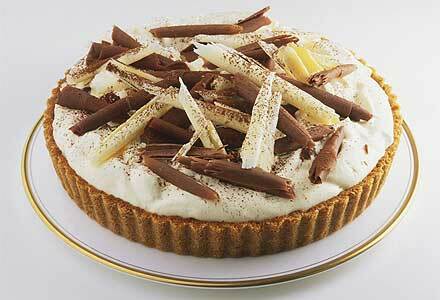 Remember that banoffee pie I was talking about in my last post? If you don’t know then go and read my previous post (http://blog.roomnhouse.com/2014/05/the-food-love-tale-1/), now when you know the story lets continue it. The following day was a Sunday so I decided to make a pie by myself. It wasn’t that good like what I had in Rico’s but it wasn’t that bad either (rather it was a nice try for a beginner). Today I will be sharing the recipe of the pie with you so roll up your sleeves and get cooking. When you get all these ingredients in your basket you are half way through your work, but don’t skip mixing the most important ingredient which is your love. Start with melting a butter and add crushed biscuits in it (enjoy that childish feeling of crushing the biscuit to the fullest), now spread that mixture on bottom of a tin and let it chill. An easy way to make a toffee is to boil the tins of sweetened condensed milk for 2-2.5 hours and you will get a perfect toffee without any effort. Remember to submerge the tins into the water completely or else you will spend all your time in cleaning the ceiling. Once you have completed making toffee let it cool down. When it cools spread the toffee over the biscuit base. The next step is to slice up a couple of ripe bananas on top of toffee (chop! Chop! Chop!). Now whip up the cream and spread over the bananas. For the decoration part grate some chocolate or you can even try chocolate curls to show your creativity or you can just simply drizzle melted chocolate over the top and keep it for chill (or serve straight away) do it the way you want to!